Seems that everyone knows about hazelnut-chocolate spread. I knew of one well-known brand and at least two others, but only recently I learned about Nocciolata. I was lucky enough to have the opportunity to try it, at no cost to me. What's different about Nocciolata? For one thing, it's a certified organic product. The ingredients list reads like this: sugar, hazelnut paste (16%), sunflower oil, skim milk powder, cocoa powder (6.5%), cocoa butter, sunflower lecithin, natural vanilla flavoring. Only the last two ingredients are not specifically called out as organic. 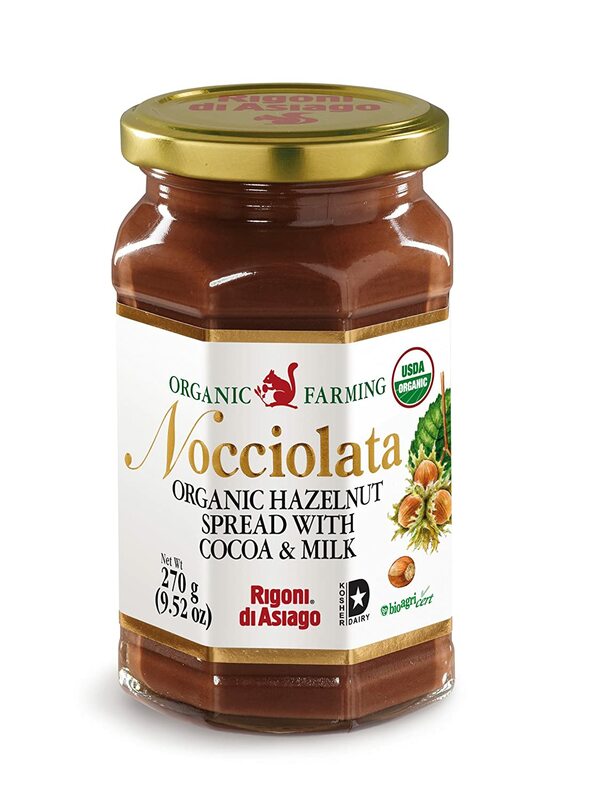 Although the website (which is in Italian, but my browser translated it) shows Nocciolata added to sweets like cookies and crepes, I first tried it on toast. It's very soft, smooth, and easy to spread. It's flavorful enough that a thin layer is all I needed. I think it would be a delicious dip for fresh fruit ... strawberries, maybe? I like it, and I would purchase it. Since it has sugar as its first ingredient, though, I'll save it for a treat. Disclosure: As stated above, I received a sample of this product, at no cost to me, for review purposes. This post contains an affiliate link, immediately above this disclosure. If you click through my Amazon link and complete a purchase, I will receive a small commission. Thank you for supporting my chocolate habit! my oldest daughter and I got hooked on Nutella when she was a preschooler and her aunt was in paris...and then when we went to paris we decided since they consider it a staple (:) ) we would start using it......there's nothing like it! i tried the "other brands" but.....ew.....Nutella wins! (i would try this one though...i'll check our TFM to see if they carry it as they are the only store around the Albany NY area to have European items. thanks for the review!